Psychedelic mirror tunnel in Harajuku, Tokyo, Japan. One of the great (and most phtographed) urban wonders in Tokyo is the infamous mirror tunnel in Harajuku station. 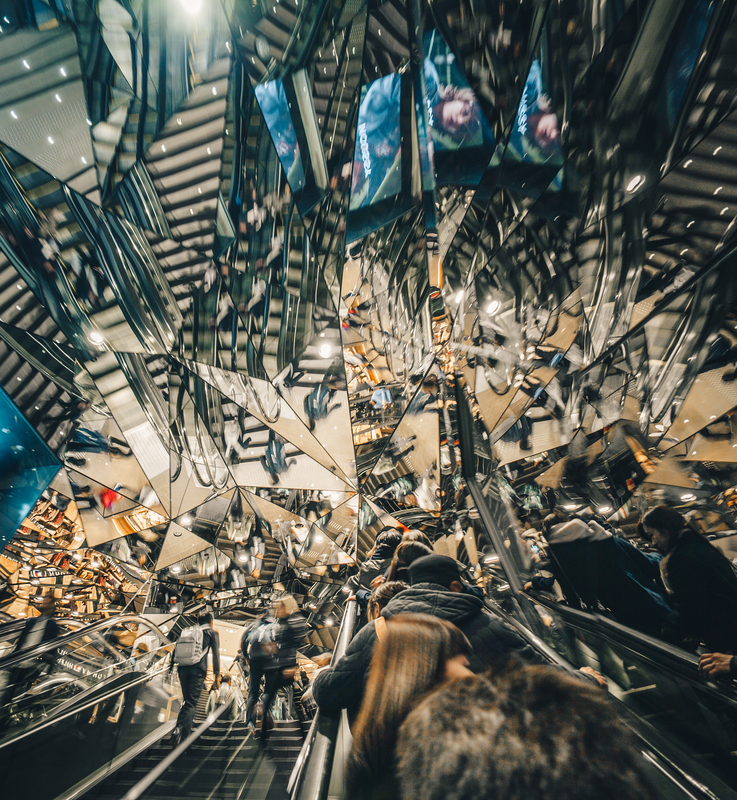 Nothing really special into it, it’s just a escalator with amazing mirror decoration that really makes you feel like you are in another world. Tip: Harajuku is a great place for people watching in general especially during weekends when all the kawaii teens and fashionistas gather around for creps and shopping. Definitely area worth visiting.